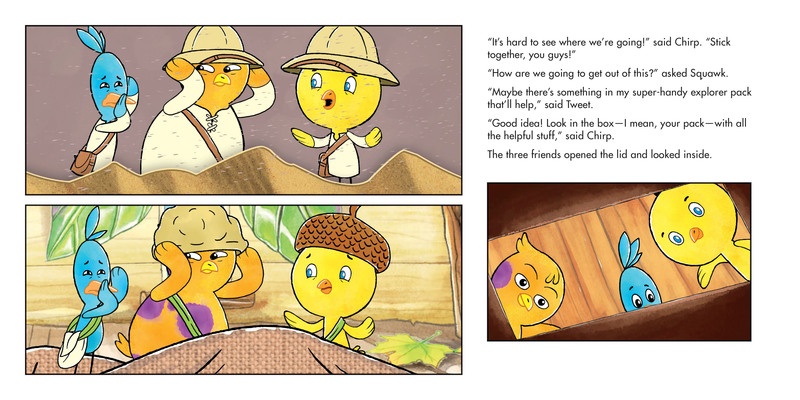 Chirp and his friends Squawk and Tweet love going on adventures together. Today, they've traded in their playhouse for sun hats and desert boots. 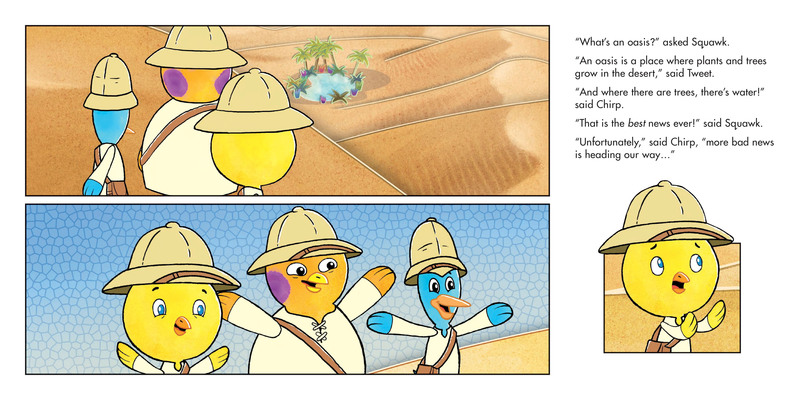 Explorers Chirp, Squawk, and Tweet get into trouble as they cross the hottest desert on the planet. Not only are they completely lost... they've also run out of water! The good news is that Tweet sees a watery oasis up ahead. The bad news is that these three thirsty explorers must get through a terrible sandstorm — a giant sandnado! — in order to reach it.